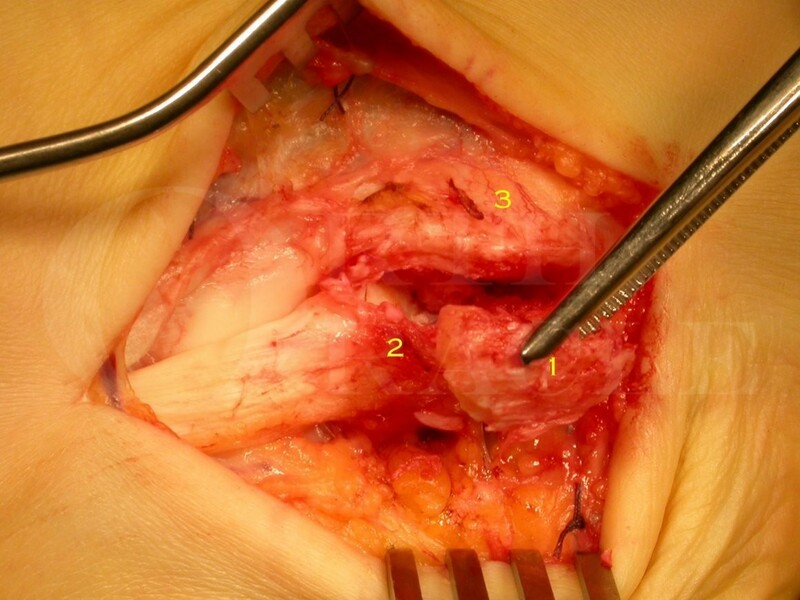 Learn the Os Naviculare excision and tibialis posterior advancement surgical technique with step by step instructions on OrthOracle. Our e-learning platform contains high resolution images and a certified CME of the Os Naviculare excision and tibialis posterior advancement surgical procedure. An Os Naviculare is a medial midfoot bony prominence at the point of the Tibialis Posterior insertion that presents with localised pain (and possibly swelling) in both adults and children. If activity restriction and orthotic management fails to control symptoms simple excision of the bony prominence is indicated. An Os Naviculare can be present in a foot with a normal arch profile or a pes planus. If the latter a calcaneal osteotomy at the time of surgery may be indicated. The evidence for re-routing the insertion of the Tibialis posterior through the Navicular to improve the medial arch profile (known as the Kidner procedure) is lacking.